Is a VPN legal in school? A VPN in School - Why? When kids attend school, they are often banned from accessing social media sites on the school’s WiFi. This is primarily to stop them digitally “passing notes in class”. 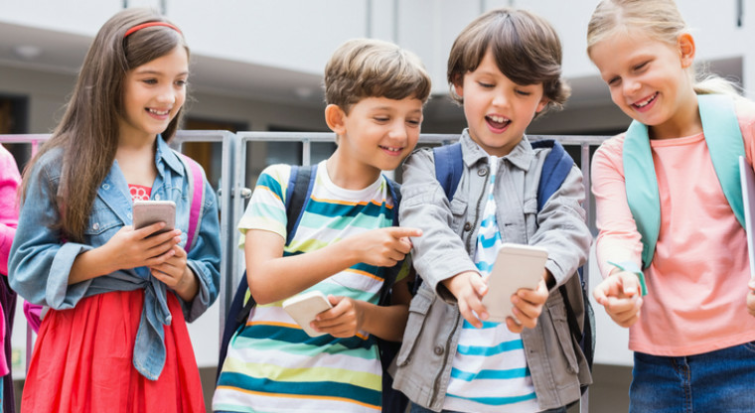 Social media sites such as Facebook, Instagram, and Snapchat can be extremely distracting when available in school, but there are always going to be some parents that prefer their child to be able to send messages. Some parents like to check in on their child during the day, and not every parent can afford to pay for their child to have data or a phone contract. For these parents, the messenger services available on social media platforms can be a real blessing - but only if their kids can access those services during the day. It might seem trivial to most people, however, the ability to let your kid know you are running late to pick them up, and that they should not worry - or to ask them to meet at the store around the corner to save time - is more important than you might think. Due to simple economics and the restrictions placed on services and websites by school network administrators, some parents aren’t as lucky in this regard as others. It is for this reason, that parents might turn to VPNs. With a VPN, children can bypass internet restrictions placed on services by schools. This allows their child to access blocked sites in order for them to remain easily contacted while on campus. VPN use is almost definitely frowned upon by schools, and could certainly land your child in trouble with their teacher. This is far more likely if they are noticed abusing their power and accessing restricted sites while on school premises. Schools block social media, gaming sites, streaming websites, adult content - and many other kinds of services - on purpose so that children will not get distracted or view age-inappropriate material. With a VPN enabled device, a child can circumvent all these blocks, meaning they could potentially be doing a lot of things they aren’t meant to be doing in school hours. A responsible child might be sensible enough to only use the VPN to message their parents back when contacted; however, other children may play Minecraft (other games are available) in school - or show their friends videos - leading to detention, and confiscation of their phone or device. Can a child break a law using a VPN? VPN use is not illegal in most nations, and it is not specifically illegal to use a VPN in school. However, depending on what country you are living in, there are things a child could do with a VPN that could be illegal. In some countries, LGBT material, sexual content, gambling (and other religiously incompatible content), or politically contentious website content, is blocked by ISPs on behalf of the government. When a child uses a VPN, it is possible for them to access not only content blocked by the school - but also content blocked by ISPs and the government. For this reason, it is possible that a child could access websites blocked by the government and this act (rather than using a VPN) could get them in serious trouble with the authorities. What about in the US? Even in the US, a tech-savvy child may use a proxy to get up to no good. A child could use a VPN in an attempt to conceal their identity, and this could enable abusive behaviours such as cyber-bullying. However, it is again the behaviour that the child engages in - and not the use of the VPN itself - that is illegal. If a parent or guardian can trust their child not to abuse a VPN while in school, it is an effective way to get around website blocks. The important thing is for the parent/guardian to emphasize the trust they are placing in their child, and to explain that using the VPN for anything but contacting them, could get them into a lot of trouble, both in and out of school. At the end of the day, if a child is caught using a VPN in school it may lead to their phone being confiscated and you may have to talk to your child’s teacher. If the child demonstrates that they aren't able to handle the responsibility of having access to blocked websites, you will probably need to change the password on the VPN service to stop your child having access. Otherwise, they may be caught using the VPN again leading to further action by the school.